This Wednesday, Portland natives STRFKR are coming to The Social to promote their latest effort, Miracle Mile. The synthy, dancey, indie poppy, electronic blending band are performing in less than two days, playing songs from their four album discography and getting support by bands Chrome Sparks and Feelings. 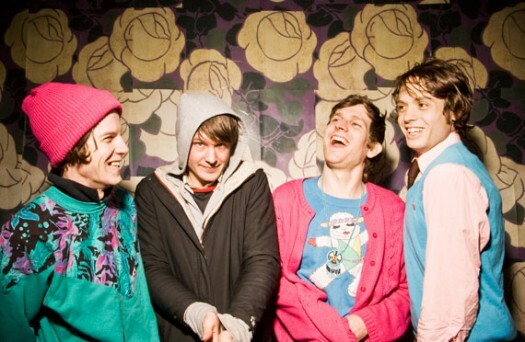 Since the band’s emergence in 2008, STRFKR made waves through numerous blogs and Internet publications for their catchy pop tunes. Performing songs from their original self-titled, Starfucker, as well as 2009’s Jupiter, 2011’s Reptilians, and this year’s Miracle Mile, this will indeed be a very danceable show. With a similar synthy-indie pop style to Passion Pit and MGMT, their contagious catchiness will be the cause of celebration Wednesday night. STRFKR is happily being supported at The Social with two other solid musical acts: Chrome Sparks and Feelings. Chrome Sparks is an exciting act to see playing live, providing a chillout atmosphere that is still laced with groovy bass lines and danceable tunes, really creating a great show experience. Feelings is a dark, lofi sounding artist, complete with lots of synths and bass. STRFKR tickets are $20 at the door, so if purchased before the show, the better the price is. Grab your ticket to see STRFKR, Feelings, and Chrome Sparks for $17 now.